Andrea Kirwin’s sound is best described as Folk, Roots, Reggae, Funk and Soul with an Island Style Roll. 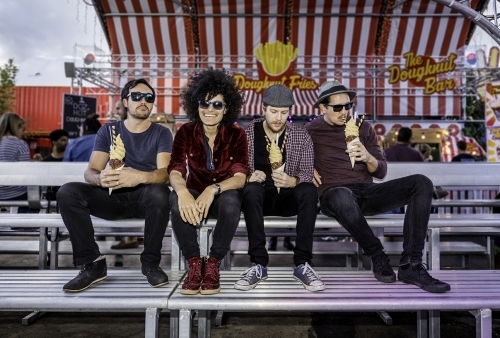 Andrea is an Australian-Fijian Artist/Producer based on the Sunshine Coast, Australia. With a warm stage presence, retro soulful sound and a knack for storytelling, Andrea has been steadily building a national following since the release of her first album, ‘From the Ground Up’ in 2013. 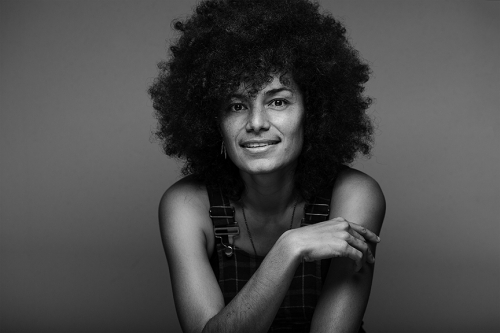 She writes and arranges her songs by weaving melodies and lyrics together with purpose and passion much like the way her Fijian grandmother used to weave pandanus mats in the village on the island of Matuku, Lau. 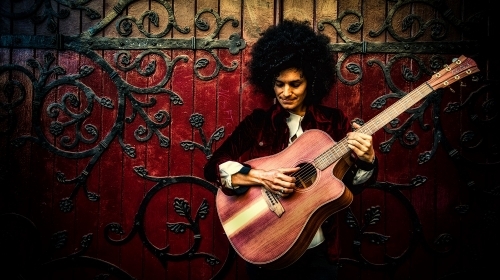 Andrea’s sound can be described as an earthy blend of folk, roots, reggae, blues, funk and soul and she waxes and wanes between her more gentler folk/soul tunes as a solo artist, and her upbeat groove based songs that she performs with her talented band of gentlemen. Her most recent 17 track live album, titled, ‘A Quiet Revolution’ (released February 2017), features Andrea and her sister, Litia Kirwin, performing original songs with beautiful islander harmonies and playing acoustic guitar, cigar box guitar and ukuleles. The album also includes some chilled versions of cover songs from Tracy Chapman, Sting, The Beatles, Rodriguez and ‘Amazing Grace’, a song the Kirwin sisters grew up singing together in their hometown of Townsville, QLD. The Fijian village that Andrea’s maternal family is from is called ‘Levukaidaku’, which in English translates to ‘Many great things to page 1 / 4 come’. This has proven to be true for this up and coming Australian/Fijian artist who continues to leave a lasting impression with audiences across Australia. In the past year, Andrea has performed over 300 shows and completed writing her fourth album. She looks forward to heading back into the studio to create another soul filled album, and touring the next release overseas. The smooth sounds of Andrea Kirwin and Band are truly a musical delight to listen to. Hailing from the Sunshine Coast, The band is made up of Andrea Kirwin on vocals, acoustic guitar and cigar box guitar, master beat maker Mitch Francis on Drums, OJ Newcomb ‘The Juice’ on Bass and the talented Brodie Graham on electric guitar. 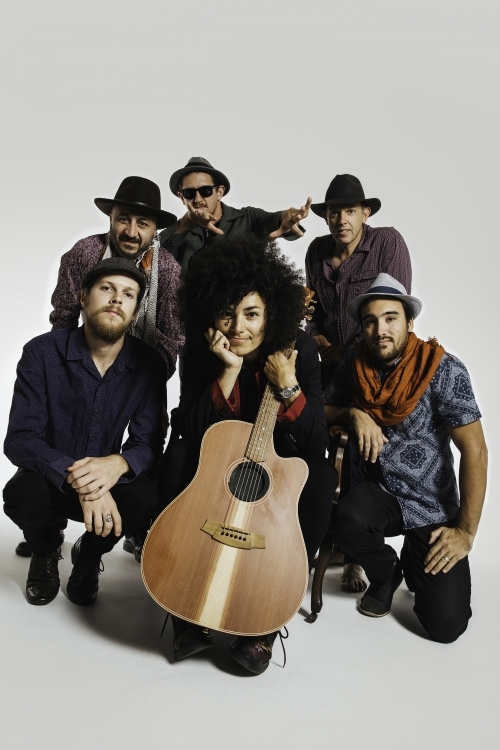 Andrea’s honey-toned voice and heartfelt lyrics are beautifully supported by this well-seasoned crew of performers as they effortlessly cruise through the genres of roots, reggae, soul, funk, hip hop and blues creating a unique sound that is reminiscent of bands from the 60s & 70s era of music. Each band member adds their personality to the mix, bringing a fresh energy to each show. The full band includes Andrew Szumowski on Keys and Robbie Amhaz on Congas and Percussion. The live shows often build up to a crescendo of funk and soul at the end of each set leaving the audience on a natural high and buzzing on the positive messages of peace, love and unity behind the music. 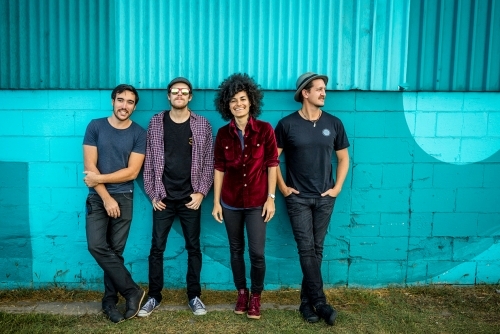 The band’s musical influences include Tracy Chapman, John Mayer, Eric Clapton and Otis Redding and you’ll probably hear a cover or two from one of the above-mentioned legends. Ultimately, Andrea and band create beautiful music from the heart. They look forward to sharing it with you at a venue or Festival in the near future. Andrea is a full time independent musician. Over the past 4 years, she has self-produced 3 Albums under her own Record Label, Peace Run Records. 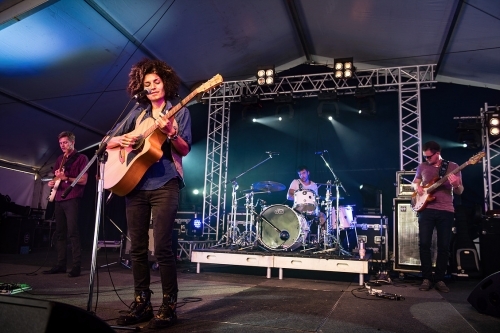 Her second album, ‘The Story of Us’ (released in 2015), had 4 songs highly commended at the Queensland Music Awards. Andrea has been performing all over Australia for over 10 years having initially picked up a guitar at age 21 and beginning her song writing journey. Andrea is very active in the local Sunshine Coast scene, often performing at charity fundraisers and mentoring and encouraging young singer/songwriters.